We are listening to all your feedback and working to improve the app! Join tons of other beauty lovers and discuss and discover the latest trends. 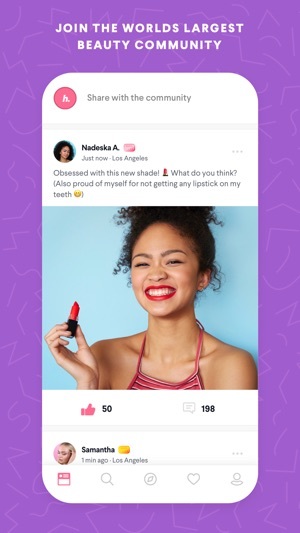 Like and comment on other users’ photos, share your own thoughts, and join the newest community of makeup mavens and beauty buffs! 2019: the prices are going up, the rewards are going down and now we do pay shipping. I don’t get it, they are doing better on sales but taking away rewards. I know I am buying way less now. I did extensive research on this app before even considering downloading it (I’m stingy) because I didn’t want to end up with another notoriously painful online shopping experience— AKA shipping takes ten years, everything gets lost in the mail, if it actually arrives, nothing fits, and customer service is everything but pleasant. However, I found that the overwhelming majority of its reviews were positive, so I went ahead and tried the app. I had set myself a $10 limit, just to test things out before I go crazy with it. 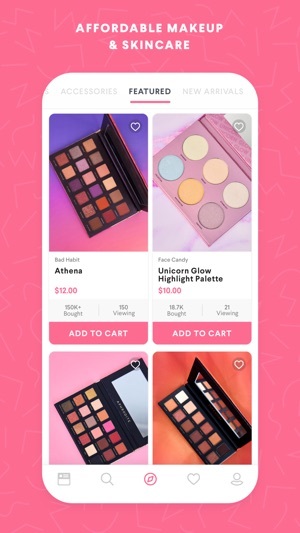 For $7.50 dollars, I purchased a City Color eyeshadow pallet (which is selling for 20-something bucks everywhere else) and a FREE set of plumping lip glosses, just for setting up an account. There are always sales going on, and even when the ‘Sale’ tab isn’t peaking your interest, everything else on the site is SUPER affordable, and I had to restrain myself from going over my cute lil budget. UPDATE: My items arrived about a week ago and I’ve been using them every day since. The eyeshadow is so smooth and pigmented and clearly worth more than I paid for it. And even better yet, they showed up only four days after I purchased them. I will definitely be coming to this site from now on— my wallet will appreciate it. I love love loved this app at first! I thought it was great! Great prices, great products, etc.. But then I went trough the reviews and saw that someone said they got a free gift when becoming a new member and making their first purchase... then I thought about the purchase I had literally just made, and i did not get anything saying that I could get a free gift. I was very confused and disappointed because who doesn’t love a free gift? Especially if I earned by making a purchase. 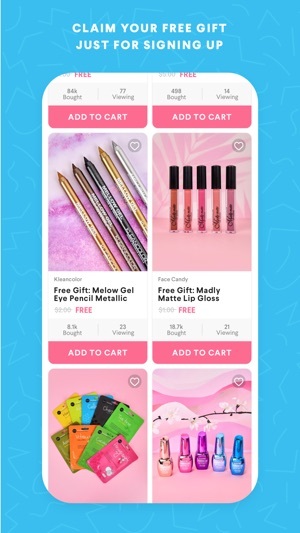 Then I thought well maybe you had to spend a certain amount to get the gift, and I looked at the app and saw an advertisement for a free gift with your first purchase. At this point I was ver confused because I had already made my first purchase. Then I saw it said that you had to spend at least 35 dollars to get this gift. But I spent almost 45 dollars and got nothing saying I get a free gift. I’m very upset I didn’t get a free gift even though I obviously made all of the requirements to get a free gift. 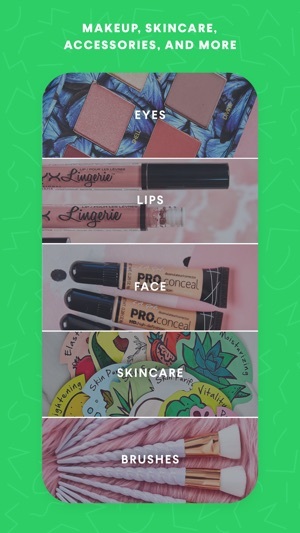 Like I said in the beginning I love this app and the products and prices and if it weren’t for the free gift mishap then I definitely would have given the app 5 STARS ⭐️. But I did not get my free gift and I’m very confused why I didn’t... if customer service could help me with my problem that would be great. I have my email that has all the info and proof that I spent 45 dollars. Customer service please help sort this out. Thank you.